We are still buzzing from our grand opening and ribbon cutting ceremony on Thursday, September 22nd. It was a spectacular evening that brought out the entire Evergreen Personal Injury Counsel staff, our families, friends, colleagues, and special guests. 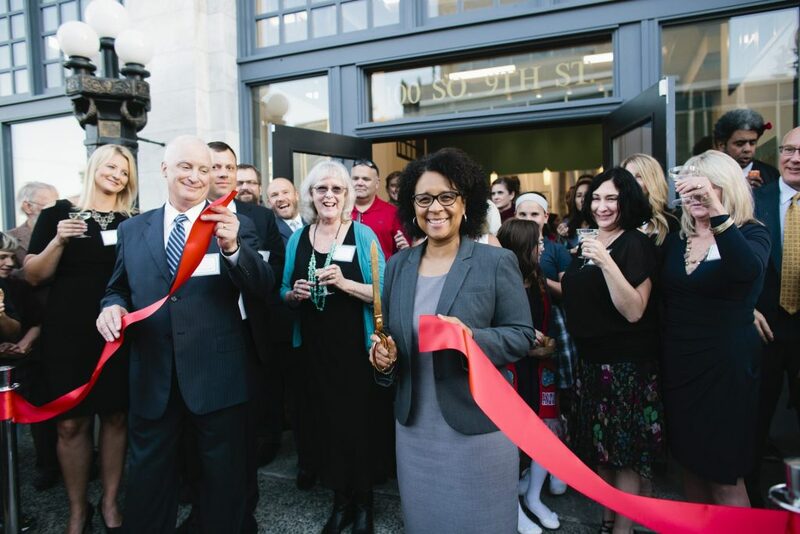 We are heartened by the generosity and support of the greater community, and the warm welcome we received into our new downtown Tacoma home. We’d like to say thank you to all the vendors who helped the event run smoothly and efficiently. We received rave reviews for our chosen caterer, TukTuk Mobile Feast and their delicious and unique Laos cuisine. The party atmosphere was certainly enhanced through the award-winning musical stylings of Paul Sawtelle and his jazz band. Finally, we thank Bobbie Bailey and her team at M Agency for their help coordinating the event. Special guests of the event included Pierce County Prosecuting Attorney Mark Lindquist, Pierce County Superior Court Judge Gretchen Leanderson, Pierce County Superior Court Judge Stanley Rumbaugh, retired Pierce County Superior Court Judge Tom Larkin, Kitsap County Superior Court Judge Kevin Hull, retired Kitsap County Superior Court Judge Jay Roof, and Pierce County Superior Court Judge candidates Shelly Spier and Dwayne Christopher. We enjoyed having Mayor Marilyn Strickland in attendance, who did us the honor of cutting the ceremonial red ribbon to commemorate the opening of our new office. Even Tacoma’s famous “Sonics Guy” made a special appearance at our event. Thank you to everyone who came out to check out the Bowes Building and celebrate the beginning of a new chapter for EPIC. To view all the photos from the EPIC grand opening and ribbon cutting ceremony, click here.